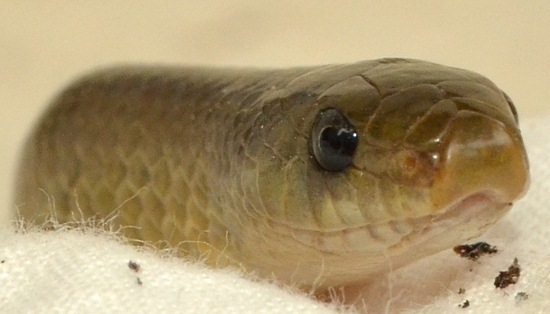 Are King Cobra Fangs Sharper than a Needle? 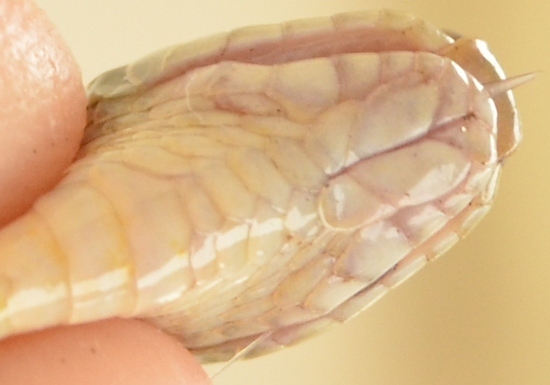 Find out here – our latest research with a juvenile King Cobra (Ophiophagus hannah) reveals the size difference between a very thin needle and a neonate King Cobra’s fang. 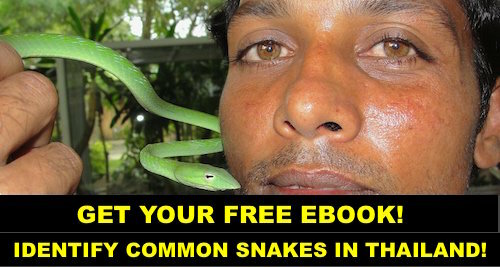 Author VernPosted on June 24, 2016 June 24, 2016 Categories snake researchTags king cobra fang, Ophiophagus hannah fangs, venomous snake fang research, venomous snake fangsLeave a comment on Are King Cobra Fangs Sharper than a Needle? 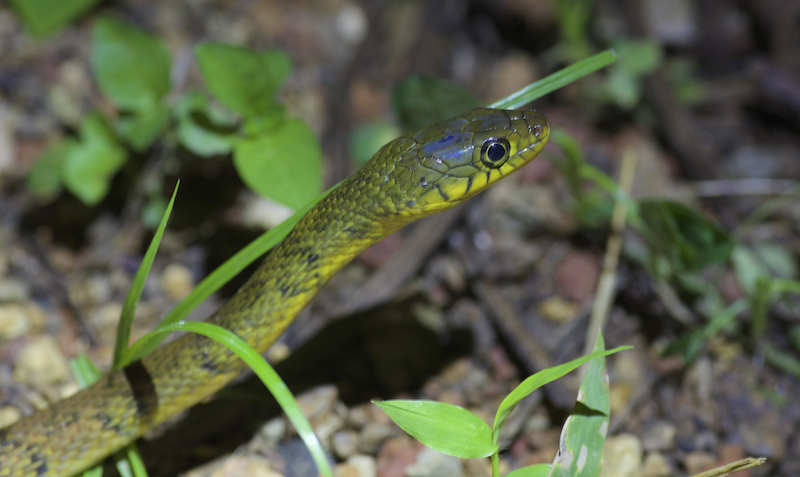 Blue-necked Keelback – Macropisthodon rhodomelas. Copyright R. Subaraj. 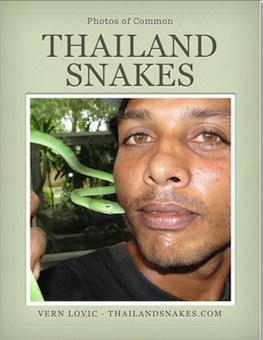 This is a snake found in deep southern Thailand that I’ve not written anything about, but some conversation last night reminded me to put something about online as a warning to others that might encounter or even keep this snake in captivity. 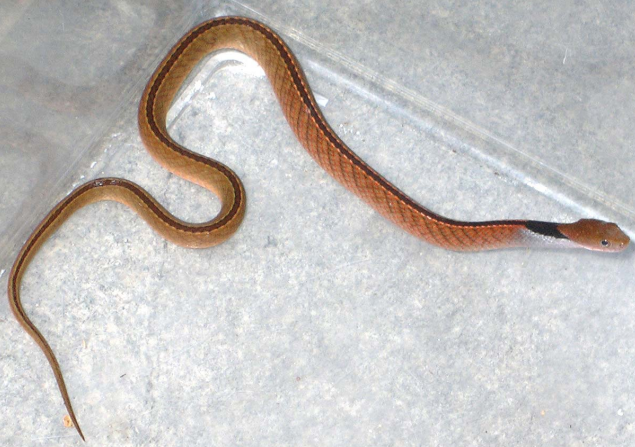 The Blue-Necked Keelback, Macropisthodon rhodomelas is a small colubrid snake that looks innocuous enough, but is one that has the potential to cause some serious damage. I was reading a scientific paper from a man in Singapore that had one captive, that bit down on his finger and chewed for a bit before releasing him. This 120 kg man (264 lbs) fell to the floor a minute after being bitten by this snake. Here is the complete paper on PDF. 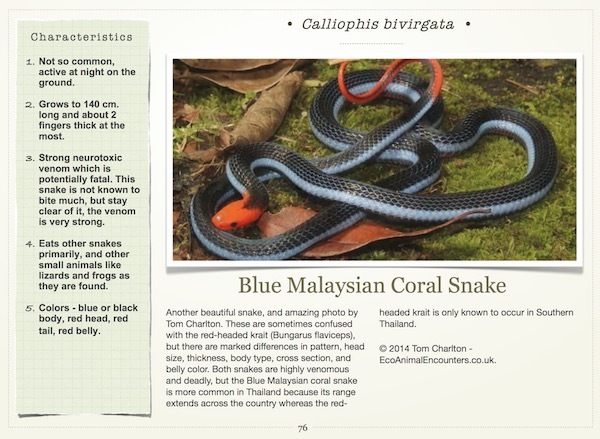 It would be great if you’d share this page with anyone that you know who keeps snakes, as this snake is frequently regarded as harmless, like the Rhabdophis subminiatus (Red-necked keelback) once was. Here’s a paper about a venom study of Macropisthodon rudis, a closely related species in the same Genus. I was getting in one of my mountain climbing workouts and on the dead tree next to me was a small (50cm) dark green snake coming out of a hole where it looked like termites were munching wood. He was head down and just gliding slowly down the vertical trunk of the tree. I ripped off my shirt and softly grabbed it. 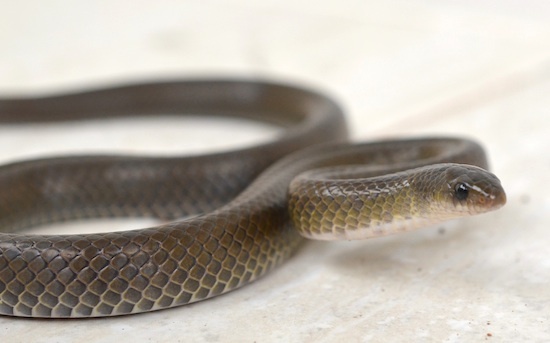 I’ve caught 3 of these same species of snake before, and none of them bit or struck, but I don’t take any chances when I don’t know what kind of snake it is. I had my friend give me a plastic bag and I put the snake in there until I could drink all my water from a bottle and transfer the snake into the bottle. It was 10 minutes before I would find something to poke holes in the bottle. I let air in twice during that time. I’m always scared they don’t have enough to breathe. I got home and tried to shoot some photos and video, but the light is horrible today and the snake was not cooperative at all. 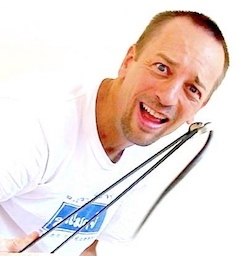 It is calm, but it is calm and full of energy. It never stops in one place so I can get a good photo. Hence the photos I’ll upload to this page are not perfect. Will work on getting better images tomorrow. Also tomorrow I’ll try to get scale counts and some better video. 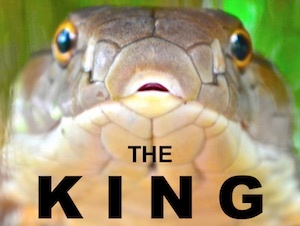 It’s exciting to know that very few (or nobody) has seen this snake before. 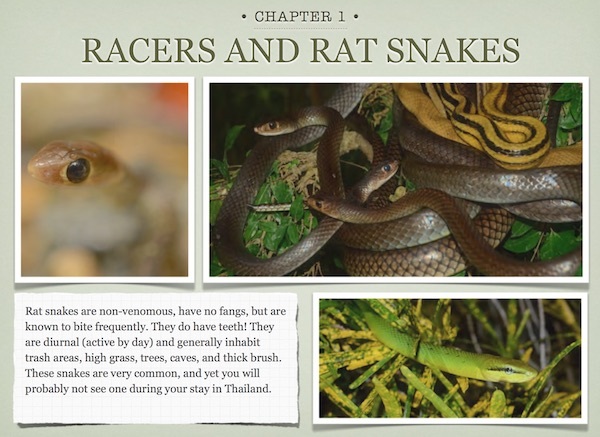 It isn’t described in the literature for Thailand. Maybe it came up the peninsula from Malaysia. Not sure. Anyway, enjoy the pics. Will post more as I get them. 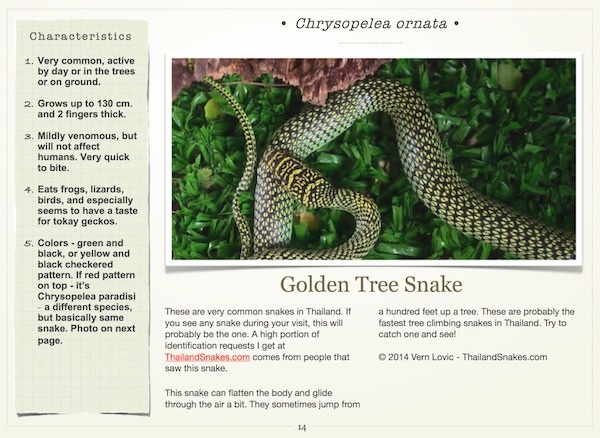 Author VernPosted on April 20, 2013 June 15, 2015 Categories snake researchTags new snake species, new species, new Thailand snake, new unclassified snakeLeave a comment on New Snake for Thailand, or New Species Found!